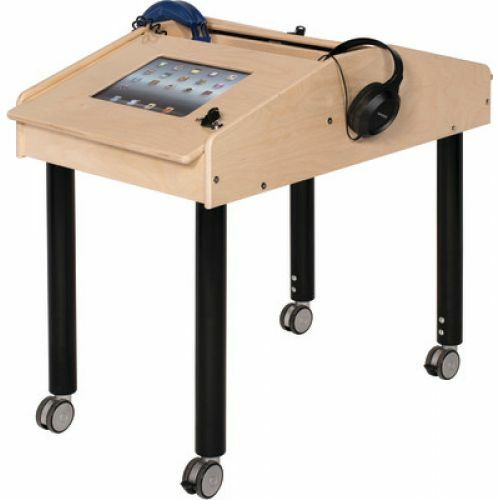 Allow children opportunities to benefit from technology in a playful, supportive environment with our Technology Table. The tablet opening is manufactured to fit select iPad and Kindle Fire devices. 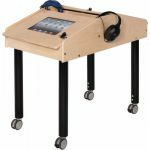 The slanted top holds tablets at just the right angle from beneath the surface in lockable compartments. Headphone storage is provided as well as holes to allow for use of headphones while tablet is in use. Technology Tables are constructed of 11-ply birch veneer and have adjustable legs allowing to adjust table height from 18″h to 26″h in 1″ increments. Minor assembly is required. Optional casters are sold separately. 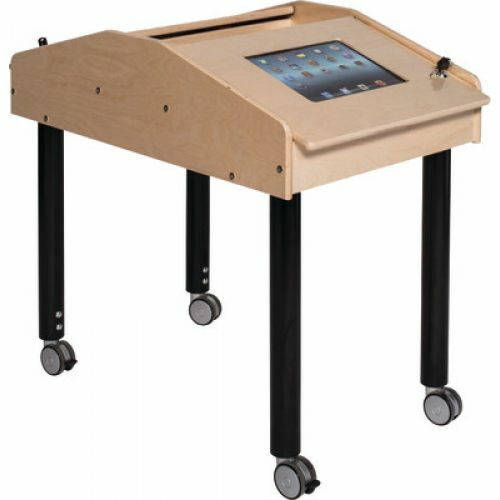 This tech table fits Kindle Fire HD 8.